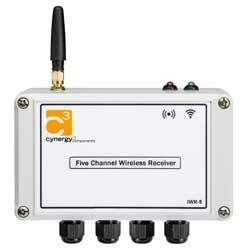 Cynergy3 have launched a new range of wireless pressure transmitters and receivers. The devices are based on the industrial grade IPS and low range IPSL series of pressure sensors. The key benefit of wireless is avoiding long, tortuous and expensive cable runs over bigger areas. The transmitters can produce a range of up to 750m and can communicate with either a single-channel or, for multi-measurement systems, five-channel receivers. Offering plug and play functionality, setting up the equipment is quick and simple to do, and free configuration software is provided for more complex systems.